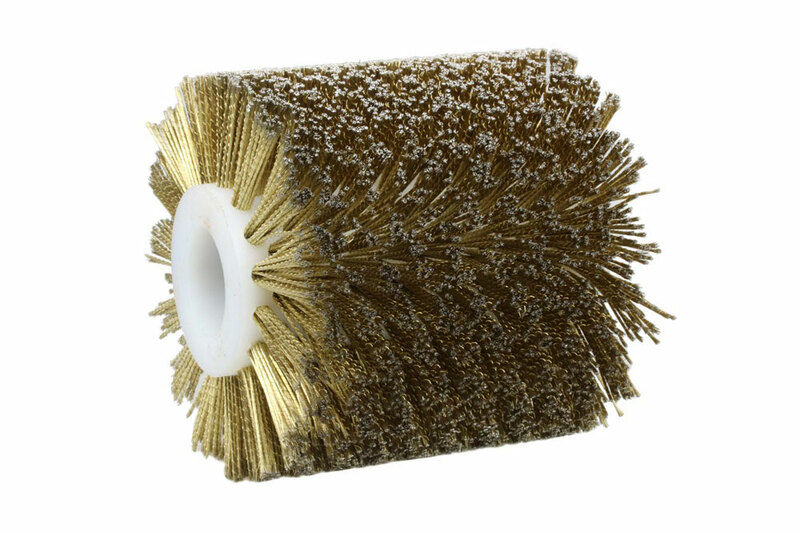 Rotary or also roller brushes are used for various purposes. 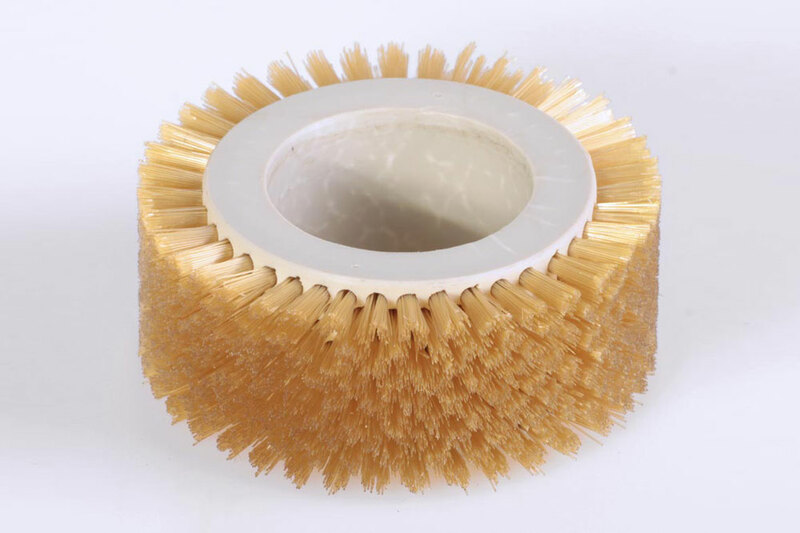 Commonly for cleaning, washing and sweeping, but also for grinding or polishing. Other applications may be for example to transport semi-finished products or for the cleaning equipment. Appropriate body and fiber materials (so-called filament material) are always chosen for a particular method of use. 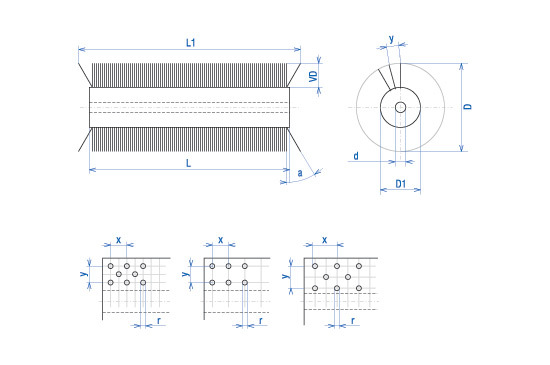 Roller / Rotary brushes are manufactured in the required length or can be composed of individual segments. 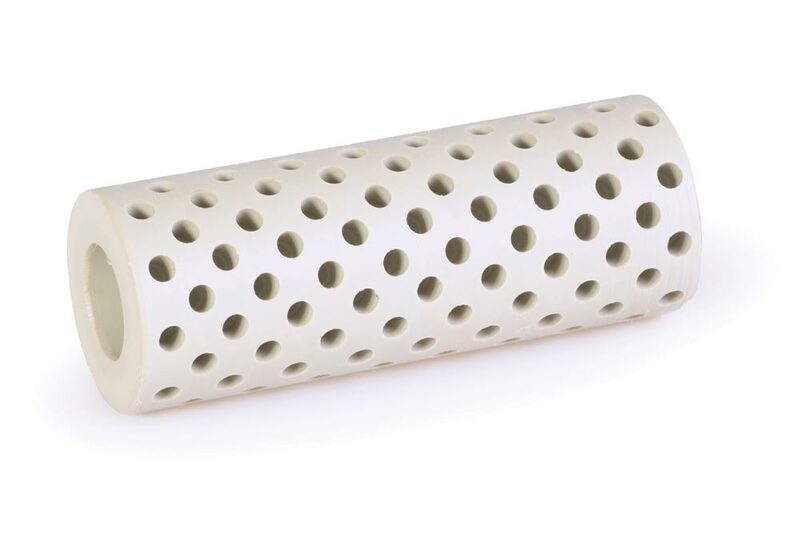 As part of the cooperation, we are also able to provide delivery on the shaft. 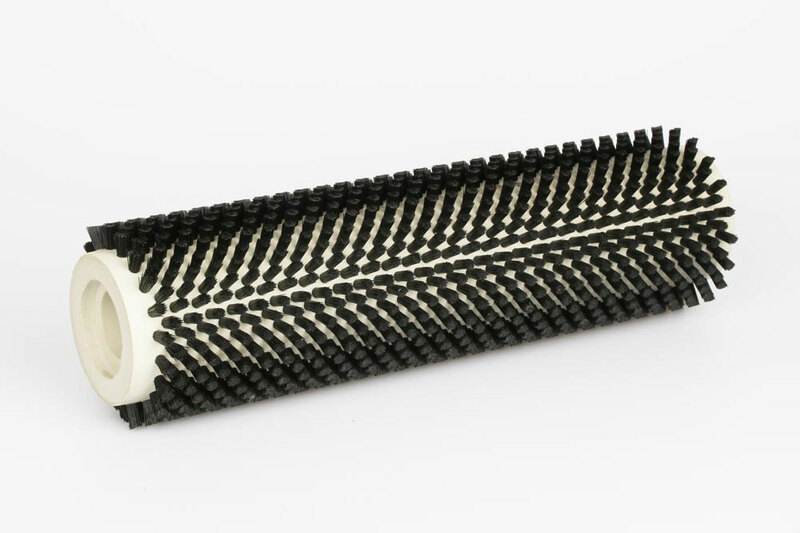 if you specify the purpose and use of a brush, our sales department staff will be able to recommend a better design of the body and a suitable filament material for the purpose. The base of the brush is formed by a body, most often made of plastic. The bodies are manufactured on modern CNC machines which enables us to deliver high-quality products with exact dimensions. Blind holes are drilled into the bodies. The filament material in the form of individual bundles is then fastened into these blind holes using staples (wires). 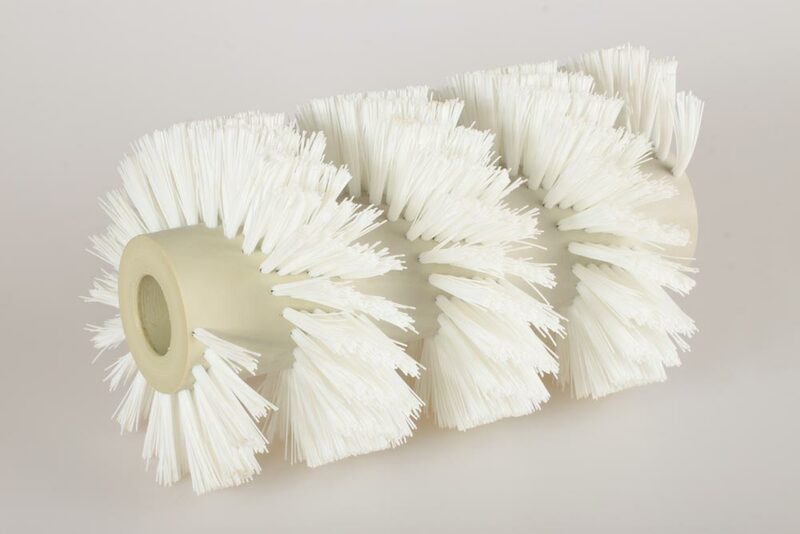 In case that the machine production described above is not possible, we are able to supply brushes produced by using the oldest brushmaking technology called retracting. This method is fully manual. 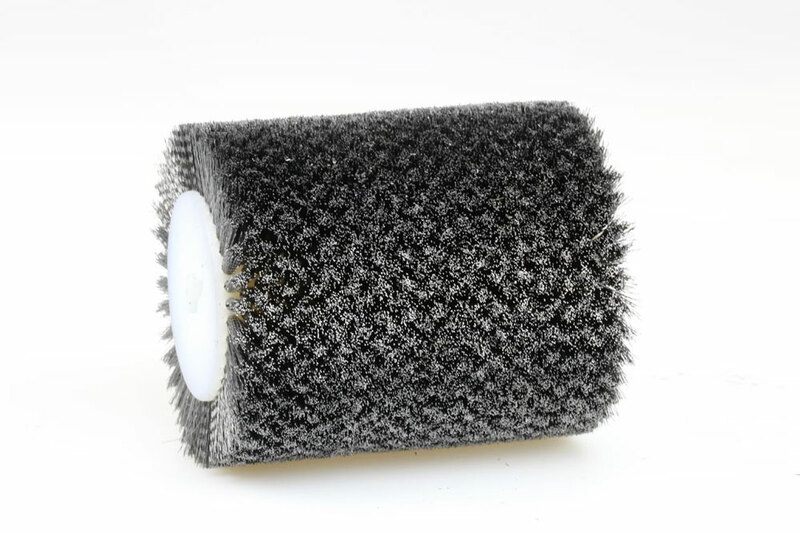 Roller brushes can also be renovated in some cases, but due to the high amount of manual work, refurbishment may not be an effective solution. In case that renovation is not possible we are able to arrange for ecological disposal and in most cases, we are able to produce new brushes according to a particular model. 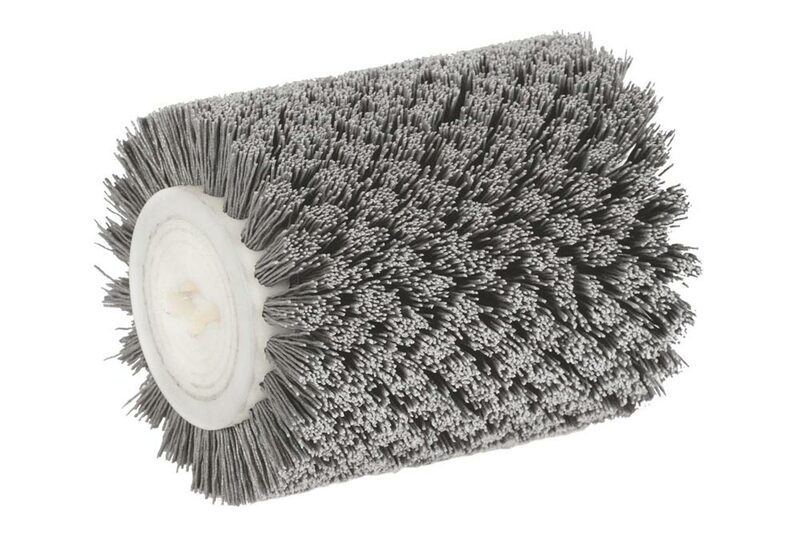 The most common roller brushes are made with so-called full stringing. Other types are longitudinal or transverse rows/series, which are suitable, for example, for use on conveyors or for removal of dirt into the exhaust, etc. 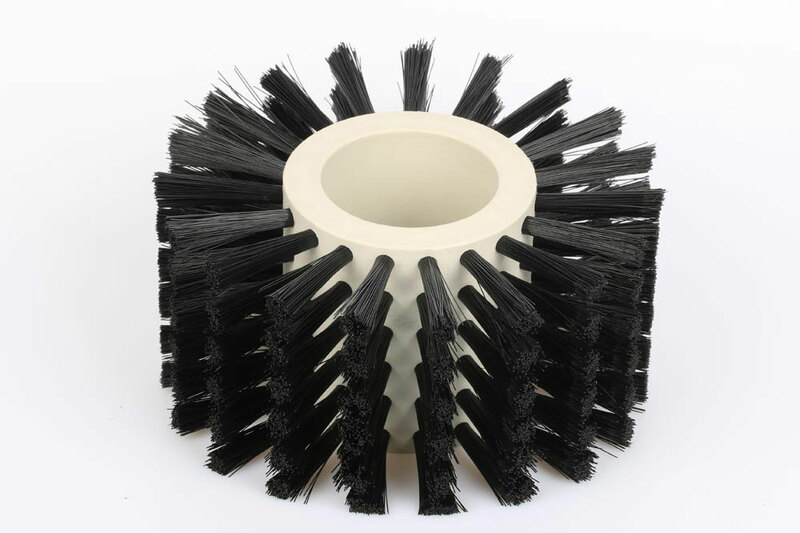 If the material, dirt and the like are to be brushed only to one side, it is possible to produce a brush with right-handed or left-handed spiral stringing/yarn. 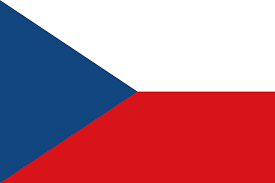 The last option is the so-called „vlačina“ (impulse) which is the two-way spiral stringing, removing/pushing the material simultaneously to both sides. The density of drilling has an influence on the cost of the brush. Cleaning, washing, dusting of flat surfaces, products, food etc.